Atlanta Jewish Film Festival, Tickets On Sale January 5th! Atlanta Jewish Film Festival, January 29th – February 20th, Tickets On Sale January 5th! The Atlanta Jewish Film Festival is gearing up to debut and screen some of the best new films and we’re more than thrilled that they chose to partner with Ticket Alternative for a third straight year! This year, the festival begins on January 29th and runs through February 20th. 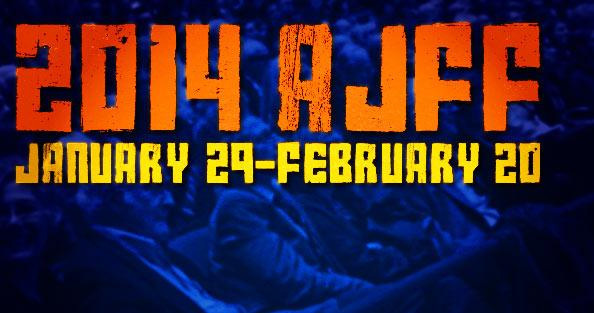 The 2014 AJFF will feature an international collection of 65 narrative and documentary films that explore the Jewish experience. Screenings are supplemented by guest appearances with filmmakers, actors, authors, academics and other expert speakers. Founded in 2000, AJFF ranks as the largest film festival in Atlanta, and second largest Jewish film festival in the United States, having attracted an audience of more than 31,500 moviegoers. The best part? This festival isn’t just for the Jewish community; it’s an exciting festival for any film enthusiast. The wonderful thing about this festival is that you can attend as few or as many screenings as you wish. There is no need to buy a specific package or pass to view the screening(s) of your choice; simply purchase each ticket individually. Student, senior and matinee prices are available. The film festival will take place at a host of venues across the metro Atlanta area: eight venues in all. In-town audiences will be served by two theaters: Regal Cinemas Atlantic Station Stadium 18 IMAX & RPX & United Artists Tara Cinemas 4, with another venue in Sandy Springs: Lefont Sandy Springs, one in the North Metro communities: Regal Cinemas North Point Market 8, and another in East Cobb: Georgia Theatre Company Merchants Walk. And of course, the Opening Night celebration will take place at the gleaming, modern facilities of the Cobb Energy Performing Arts Centre, while the Closing Night celebration will take place at Atlanta’s dynamic Woodruff Arts Center. New to the festival this year, Creative Loafing and AJFF join forces for a unique art experience with collectible prints by MailChimp and film-themed photo booths at Atlanta’s newest and most creative event space: Westside Cultural Arts Center. The event takes place on February 8th at 8pm. Bethlehem and Omar, both of which are vying to be nominated for Best Foreign Language Film at this year’s Academy Awards (Bethlehem is Israeli, Omar is Palestinian). There will be a panel discussion titled Bethlehem vs. Omar: Conflict and Context. It will be 60 minutes long, and will take place at Regal Atlantic Station Stadium 18 IMAX & RPX (261 19th Street NW, Atlanta, GA 30363) on Sunday, February 16 at 11:10 a.m. It will feature in-depth discussion and lively debate with a panel of journalists, scholars and other experts, as well as film clips and filmmaker interviews. Driving Miss Daisy: Jessica Tandy and Morgan Freeman are unforgettable as an elderly Southern Jewish widow and her black chauffeur in this sentimental Oscar-winning exploration of civil rights based on Alfred Uhry’s Pulitzer Prize-winning play. Academy Awards wins for Best Picture, Best Screenplay, and Best Actress. A 25th Anniversary Classic Film Series screening. Tickets go on sale on Sunday, January 5. Please visit www.ajff.org or call us at 1-866-214-2072 to purchase your tickets! TA Live Weekend Picks: Bonaventure Quartet, Rusted Root, and More!